It’s not all sushi and ramen at Mr Joe, EatClub’s newest addition. 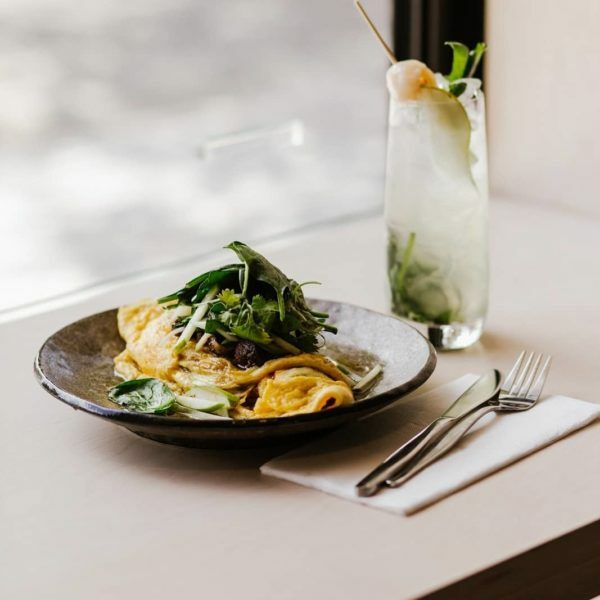 Husband and wife team Martin Sun and Yang Han, who own Steam Junkies in Brunswick, opened Mr Joe just off Swan Street in Richmond in November 2018. This restaurant has a huge Japanese influence but it’s not at all restricted. 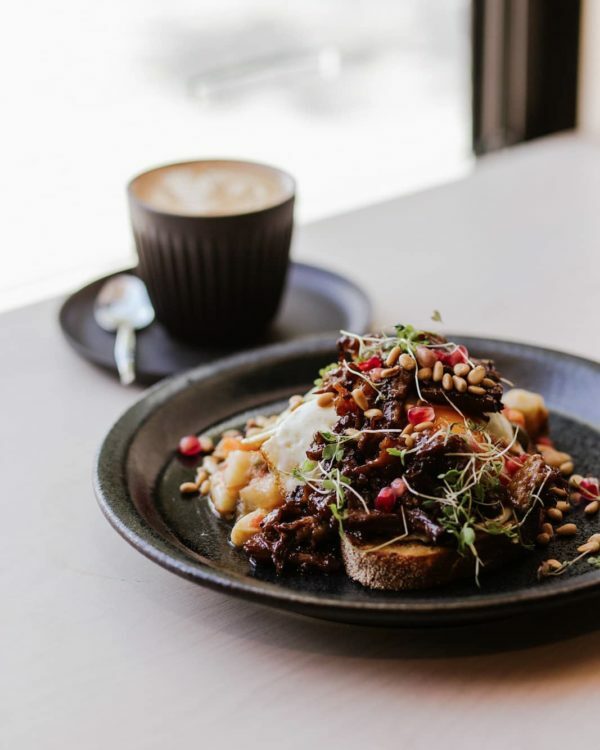 Take the Smoked Beef Egg Benedict for example; it features smoked wagyu beef brisket, sautéed greens, poached eggs, harissa hollandaise and sun-dried tomato pesto. (It’s outrageous.) 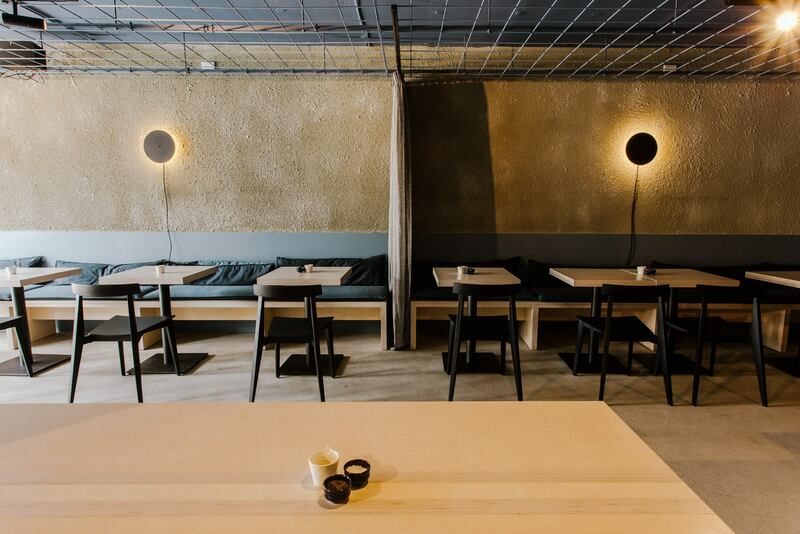 The interior of Mr Joe is designed by Figureground Architecture (who did Sunda and Industry Beans). The interior is minimal yet warm. 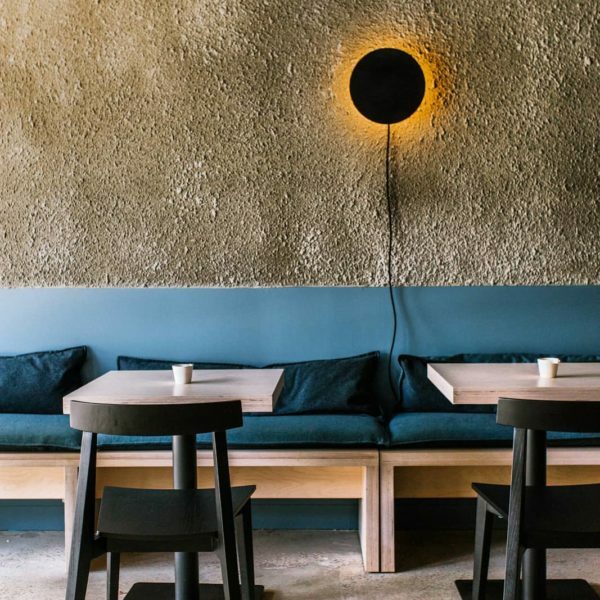 It’s faintly reminiscent of an Izakaya and features a dark blue ceiling, textured concrete walls and warm eclipse-like wall lights. The dishes vibrantly pop amid the palette of the venue. A completely satisfying component is that everything looks in place at Mr Joe – right down to the placement of the sugar bowls. The coffee comes in cups made by HuskeeCup, a company which makes reusable cups out of coffee husks. The breakfast menu (which is served until 2pm) features a Tamagoyaki Omelette with grilled pork, miso dressing, apple shiso salad and sautéed wild mushroom. But it’s the fluffy Japanese pancakes that are the most popular, and possibly the most photographed. You can order from the FEED ME menu, which will see you enjoying one dish from the ‘Something Small’ part of the menu, as well as something from the ‘Raw’, the ‘Finger Licking Good’ section, and more dishes if you’re not quite full yet. But if you’re going to visit in the evening and want full autonomy over what you devour, make it the Smoked Wagyu Beef Brisket Don and a cocktail on the side such as the Green Zen made from whisky, matcha syrup and orange bitters.